Heroes, Heroines, and History: Is it Real or Composite? Is it Real or Composite? My last post, Composite Photography of William Notman, introduced you to the world of William Notman, his use of composite photography, and touched on some 19th century photograph techniques. As a very brief recap, I'll say that photography gave people a physical image of something they wanted to remember, and even pass on down through the years. But often it wasn't feasible - for reasons stated in my last post. For an example, I'll use the Molson family. As a politician, philanthropist, and businessman, John Molson (1763 - 1836) played a large role in Montreal history. In 1786 he formed the Molson Brewery which is presently the 2nd oldest company in Canada. (Only the Hudson's Bay Company is older.) So when John's son, William Alexander Molson, married Esther Shepherd, daughter of R.W. Shepherd, owner of the Ottawa Navigation Company steamship line, the wedding was a big deal. With Bishop William Bond presiding, the ceremony was performed on October 10, 1877 in St. George's Anglican Church, Montreal. The photograph of the huge social event was a composite made possible by the artwork of the Notman & Sandham Studio. A famous Notman photograph shows the Governor General of Canada Lord Stanley de Preston, namesake of the Stanley Cup, being "bounced" by members of Montreal Snow Shoe Club (MSSC) in 1886. Wearing outfits reminiscent of the original voyageurs, the MSSC members performed a unique activity called bouncing to show respect and camaraderie to new members, race/tramp winners, and special guests. You can find information about MSSC being the first snowshoe club in North America, a detailed description of their outfits, and more at the Montreal Snow Shoe Club wiki page. And yes, The Bounce is a composite created by individual photographs of the members standing, and one with Lord Stanley de Preston lying on a table. The Montreal Snow Shoe Club participated in races of all kinds including this hurdle race. Wait - a hurdle race on snow shoes? Look close - is this photograph real or a composite? I have to admit that I thought Hurdle Race on Snowshoes was a real photo when I added it to one of my Historic Winter Sports posts on another group blog. And then I discovered that it was a real photograph after all, and taken in 1892 no less. I wonder what type of camera they used, because clearly, the detail of the racers is wonderful. On the right, you see J. Beattie's Snowshoeing Group which I had also added to the Historic Winter Sports post thinking it was real. I mean, it looks like a typical eastern Canada setting in the foreground as well as the background. And the falling snow adds such a wintery effect. But are these real photographs or composites? They are real studio photographs taken of posed people using props to hold their positions. The effect of the falling snow was done by the art department before releasing the photograph. Many families wanted a group photograph taken in their own home, like this 1904 photograph showing the Phillip Simpson Ross family of Montreal in their own living room. What do you think? According to the McCord Museum's online exhibition, The Photographic Studio of William Notman, "...where each person was photographed individually with a posing stand at the head to prevent movement, a clear portrait with a pleasing expression and a good pose was guaranteed. Photographing even a small group, such as a family, indoors in a single picture was impossible. Most families wanted their own living-room or parlour as a setting for the family group, but the exposure to record the room would have been up to an hour long at least. Therefore a photograph of the room only was taken, enlarged, and the figures added later." This next photograph shows the children of W. Birks of Montreal. I suspect they are talking about William Birks, son of Henry Birks who started the Birks jewellry enterprise back in 1879 and soon renamed the store, Birks and Sons, in 1893 after going into partnership with sons William, John, and Gerald. Not only is the Birks name synonymous with jewelry here in Canada, but in 2005 they expanded into the US after a merger with Mayors Jewelers Inc. But is the photograph of W. Birks' children real or composite? Actually, I thought it was real until I looked at the shadows. The hem of the boy's coat is a sharp angle which should have shown as such in the shadow, but it doesn't. Also, the shadow doesn't show the runners or rope of the sleigh. But other than those small details, there's not much to show that this is indeed a composite. And finally, I'll leave you with one of my favourite photographs, that of Miss V. Allan and Mrs. Russell Stephenson enjoying the winter sport of curling. This is the photograph that introduced me to the composite world because it was when I accidentally found a photograph showing an individual pose used in this image that I started on the quest that led to William Notman and his studio work. At the McCord Museum website, I found the following 6 individual poses that I've placed in a montage for comparison purposes. 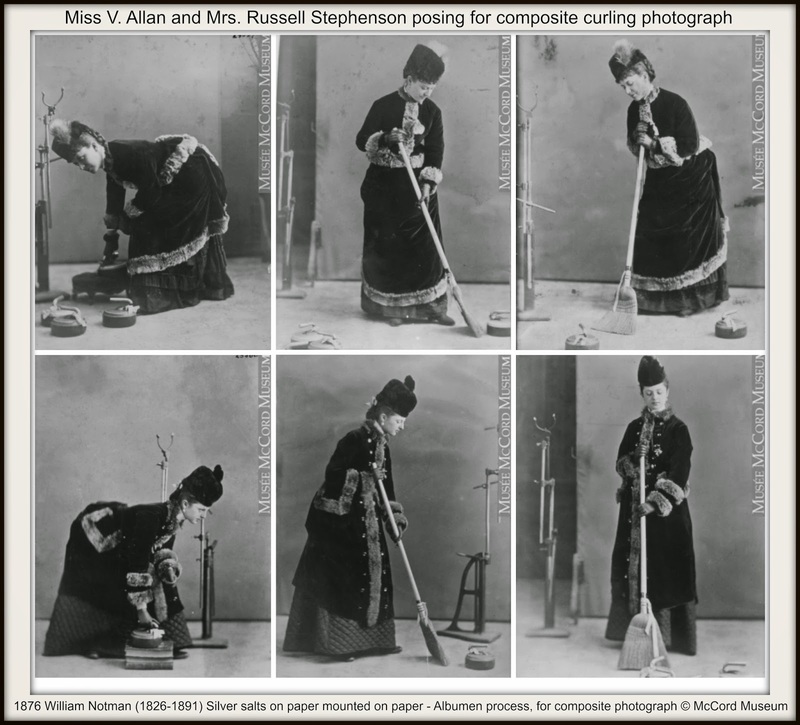 Although not shown here, there is one more photograph showing a different background, but with Miss Allan bent over preparing to throw the stone instead of Mrs. Stephenson as shown on the right. This series of images shows how props were used to pose the ladies for the long exposure time. Note also, the skillful artwork necessary to show the reflective ice surface. Notman's World is a 29 minute film put out by the National Film Board of Canada which shows a wealth of information about the Notman Studio, the maple box created for royalty (mentioned in my previous post), life in early Canada, Kodak cameras, and more. If I've captured your interest in any way, you may want to grab a coffee and take a break to watch it. Have you played along with me in this post concerning real and composite photographs? How did you do? If you were living in the late 19th century, is there an image you would have wanted preserved as a composite? I know it isn't Christmas, but in honour of my short story, Here We Come A-Wassailing, being shortlisted for the Word Guild's 2015 Word Awards, I'm holding a giveaway for the 2-book set my story is found in. To enter, leave a comment on this post before 11:59 EDT Sunday, May 10, 2015 with a way of contacting you. 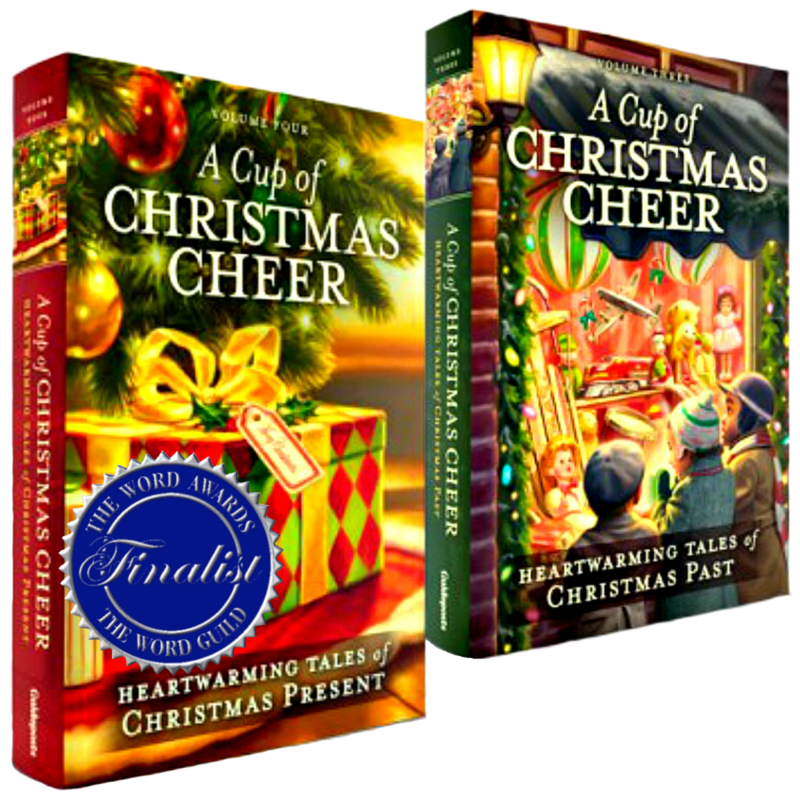 One person will receive a copy of A Cup of Christmas Cheer, Volume 3&4, published by Guideposts Books, Oct 2014. Congratulations of being a finalist for the Word Guild's 2015 Word Awards. I'd enjoy reading your book! LOVE this post Anita. Right up my alley with compositing. These were very skillfully done pre-computer no less. Took much more skill than it would now. Very, very, very cool. You have a wealth of interesting information and you always present it so well too. Love the post and love coming here as it is always so interesting, thank you for the giveaway! Congratulations on your books, they are just beautiful! I would absolutely love to read them. I love reading Christmas books any time of the year. :). Thank you all for entering the giveaway on my May 5th post. The winner is... Melanie Backus!